Arizona Water Consultants carries a full line of high quality, made in the USA water treatment and conditioning equipment. Each home or business is unique and we will custom tailor the right system for you at the best price. We have systems for every budget! ***32K and 48K softeners also available in space saving cabinet style softener, call for details. 5 year warranty on all components of system. Larger storage tank, add-$20 to $50 depending on size. 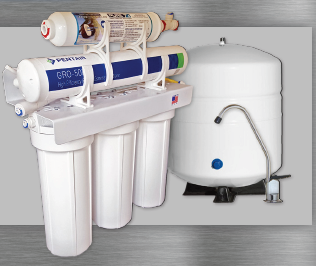 ***Whole House RO systems available: convert your entire house to high quality RO water! Call for details. We have commercial RO units available from 300 GPD to 40,000 GPD depending on your needs, perfect for whole house, Brewing, Growing, industry, medical, and dental, applications. Call for more details. We can get it done for you! Our HERO Whole House Filter combines traditional water softening with the newest technology in carbon filtration. Our HERO unit uses new SNRF-CC Modified reticulated carbon cubes to remove chlorine, chloramines, disinfection byproducts and a wide variety of other contaminants while solving issues associated with traditional granulated carbon most notably “packing” and “channeling” that is associated with mixed bed media systems while maintaining higher flow rates through the unit and having a higher capacity for contaminate removal than standard granular carbon media. This system makes truly great water! The Watchman is our "no salt" system for those who do not want a salt based water softener Maintenance free five level conditioner, protects your water on two fronts, uses proven T.A.C. (template assisted crystalization) technology to prevent and dissolve existing scale then two levels of carbon filtration removes chlorine, chloramines, disinfection by-products and many other contaminants from your household water. Giving you clean scale-free water. *Lifetime capacity Media life 7-10 yr.
*Capacities depend on water usage and water quality conditions. Not intended for microbiologically unsafe water or waters of unknown quality. Disinfection may be required. This system is intended for treatment of municipal water, any other application requires water quality analysis for best results. Our most economical softener, the pro series softener offers great features at an affordable price, this softener is still heads and tails above the softeners offered at the big box stores and will still carry a much better warranty. 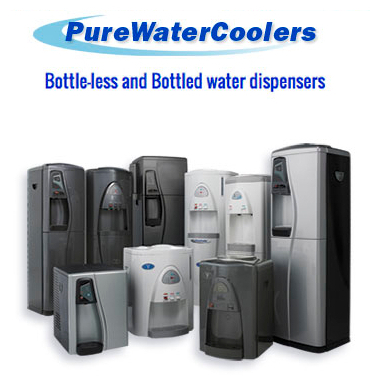 Bottleless Water Coolers can provide your home or office with an endless supply of great tasting water. No more 5 Gallon bottles to store and lift, no more leasing contracts for water coolers, why pay for leasing a cooler and bottle service when you can purchase your own. We offer a full line of Vertex commercial grade Water coolers. Call today for more details. Many options available - Call for Current Pricing. 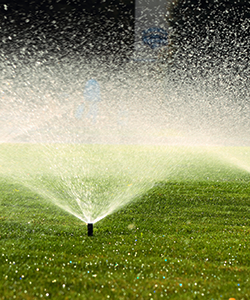 Arizona Water Consultants can help your home or business save water and money by conducting a thorough water use audit, we will identify the high water uses in your home or business and show you ways to greatly reduce your water usage. Have a leak no one can find? Impossibly high water bill? Let us help you figure it out. Call today! Saving Water = Saving Money! Arizona Water Consultants can help you with your water testing needs, all tests and services are done through Legend Technical Services here in Phoenix , Az. Prices listed below include, sample taking, transport to lab and consultation upon results. ***Other tests are available upon request please call for further information. We don't just cater to residential clients. All of our services also are available for the commercial sector. We sell commercial softeners, reverse osmosis systems, and filter systems strong enough to treat the water running throughout your facility. Factory and installation warranties are available for our products and services. It is our goal to provide you with the very best water treatment equipment at an affordable price. 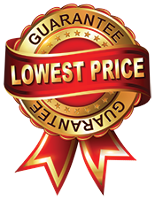 The cost of our services reflect the cost of the product and installation fees. Costs vary depending on the system. Estimates are always free. For payment, we accept Visa, MasterCard, Discover, and American Express. Credit card purchases subject to 3% credit card processing fee.